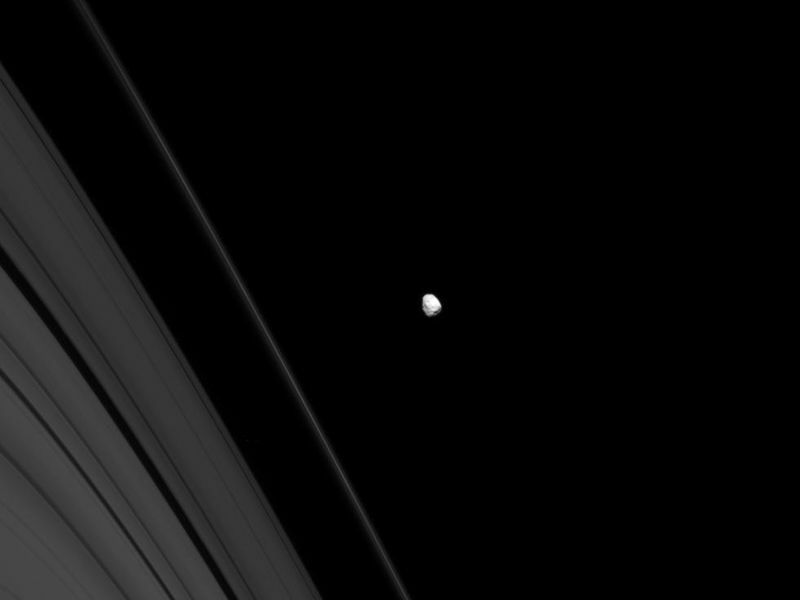 Saturn's battered moon Janus wears the record of its long history of impacts. 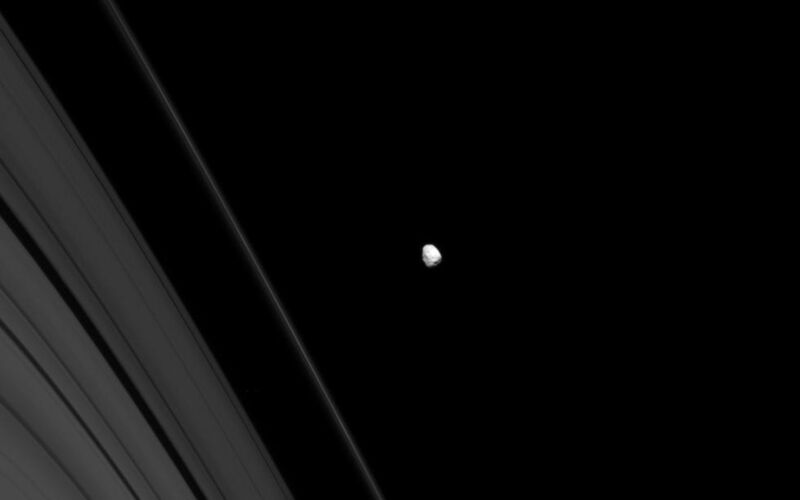 Janus (179 kilometers, or 111 miles across) orbits just beyond the outer reaches of Saturn's A and F rings, which are seen here. This view looks toward the unilluminated side of the rings from about 4 degrees above the ringplane. 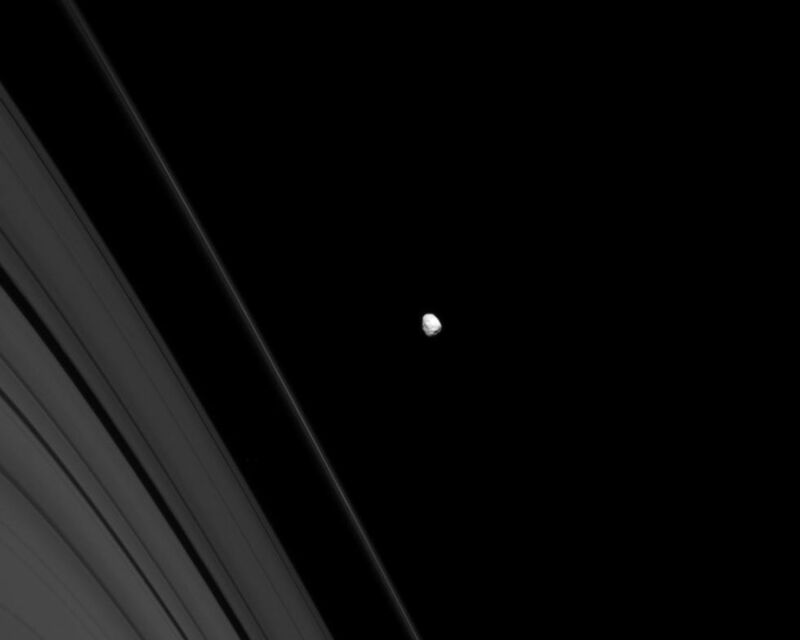 The image was taken in visible light with the Cassini spacecraft narrow-angle camera on Sept. 28, 2008. 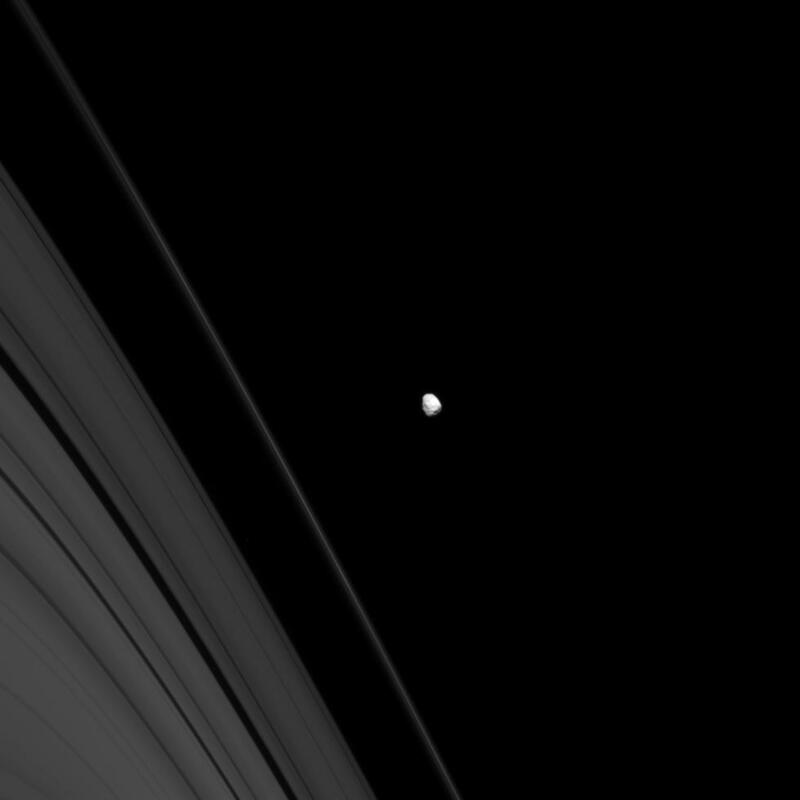 The view was obtained at a distance of approximately 1.1 million kilometers (703,000 miles) from Janus and at a Sun-Janus-spacecraft, or phase, angle of 28 degrees. Image scale is 7 kilometers (4 miles) per pixel.